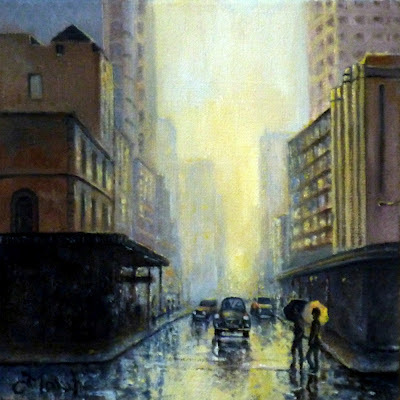 I am becoming very interested in painting the light effects seen in cities. Sydney has experienced its greatest volume of summer rain in over 50 years, which has provided some great light effects in the city streets. The corner of Bathurst & Pitt Streets provides the stage for the light hitting the umbrella.